As technology continues to advance, people working in the criminal justice and criminology fields have learned to change with it. More people conduct more business online, and more occupations require at least some use of a computer. You can take advantage of the trend and earn a great salary working in computer forensics. Naturally, this has lead to an increase in opportunities to commit new kinds of crimes, such as hacking into major networks and stealing credit information. To combat and investigate such crimes and other incidents, new career opportunities for digital forensic experts and forensic computer experts have sprung up. What Do Computer Forensics Investigators Do? 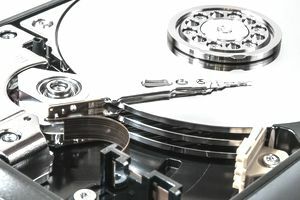 As the name implies, forensic computer investigators and digital forensic experts reconstruct and analyze digital information to aid in investigations and solve computer-related crimes. They look into incidents of hacking, trace sources of computer attacks, and recover lost or stolen data. Forensic computer investigators and digital forensic experts may conduct internal or external investigations. In fact, in many cases, they may be called upon more often to investigate in-house personnel. Private companies and government organizations may hire forensic computer investigators full time, or they may contract for their services. The investigators will likely be involved in looking for violations of company policies regarding computer use as much as they will be involved in crime solving. They work closely with other investigators and attorneys. What Education and Skills Do You Need? Of course, digital forensic experts need to have a vast array of knowledge regarding computers, on both the hardware and software sides. They must have intricate knowledge of computer operating systems, including the BIOS, and should be very familiar with Linux, Mac OS, and Windows. A college education is typically required, and specialized degree programs are becoming more widely available in universities across the country. Many students can now major in areas such as Computer Criminology. There may be occasions where candidates who can demonstrate relevant experience and skills will be considered for employment without a degree. Degrees related to criminal justice, computing, information technology or criminology, along with any relevant experience will also suffice. In addition to degree requirements, there are also a number of certifications available, such as the Certified Ethical Hacker program. Besides computer skills and related education and certifications, forensic computer investigators and digital forensic experts must also possess strong analytical and investigative skills. They need to be able to read and interpret data and to formulate conclusions, and they must be able to present their findings and conclusions in a format that can be easily understood. Computer forensics is a growing industry. Job availability within the industry is expected to grow significantly as society uses computers more and more for everyday business. Currently, those who go to work for public and governmental agencies can expect to earn around $50,000 per year. Computer forensic investigators and digital forensic experts who choose to work for private industries and investigative firms generally do so on a contractual basis, which means work may not be as regular or steady. However, the compensation may be significantly higher, with earning potential up to $200 to $400 per hour. If you enjoy problem-solving and investigation, and you are skilled not only in using a computer but also in digging deep into computer systems, forensic computing may be the perfect career path for you. As with all careers in criminology, a job as a forensic computer investigator is both stimulating and rewarding. It allows you to put your unique skills and knowledge base to work in a field that can be very helpful to others.